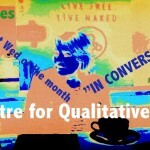 The Centre for Qualitative Research presents Lee-Ann Fenge and Carole Pound “In Conversation…” about Participatory Action Research and Co-operative Inquiry this Wednesday at 1 pm in RLH 201. 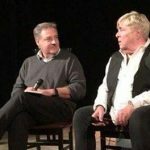 The two will present each research method as a CONVERSATION…first, between each other, and then with the audience. We are also asking that no PowerPoint be used in order that it is truly a conversation and NOT a lecture. All are welcome! The series has been very popular so far, playing to a jam packed room. Come and join in the conversation. Many of us go to Naked next door for coffee following to continue the conversations and network. Come along and join the action!